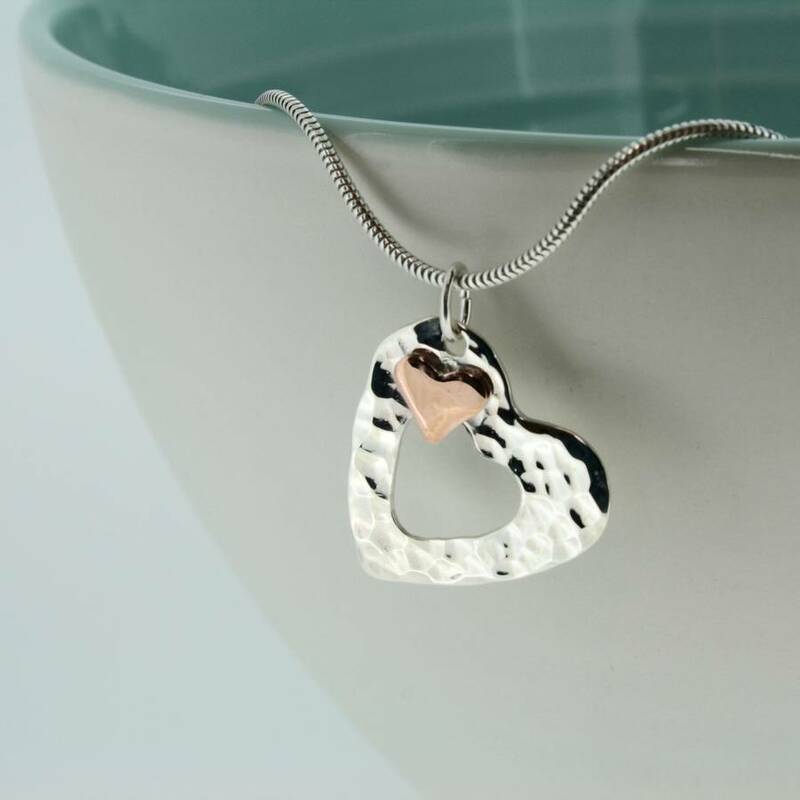 This sweet little sterling silver pendant has a copper heart by Carole Allen Jewellery. 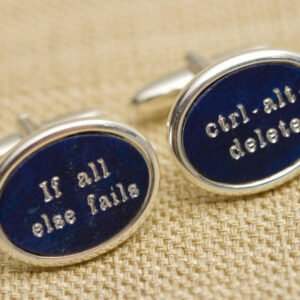 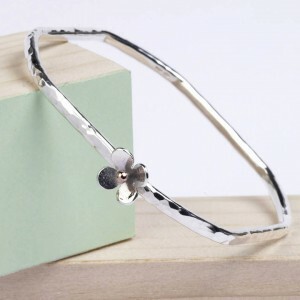 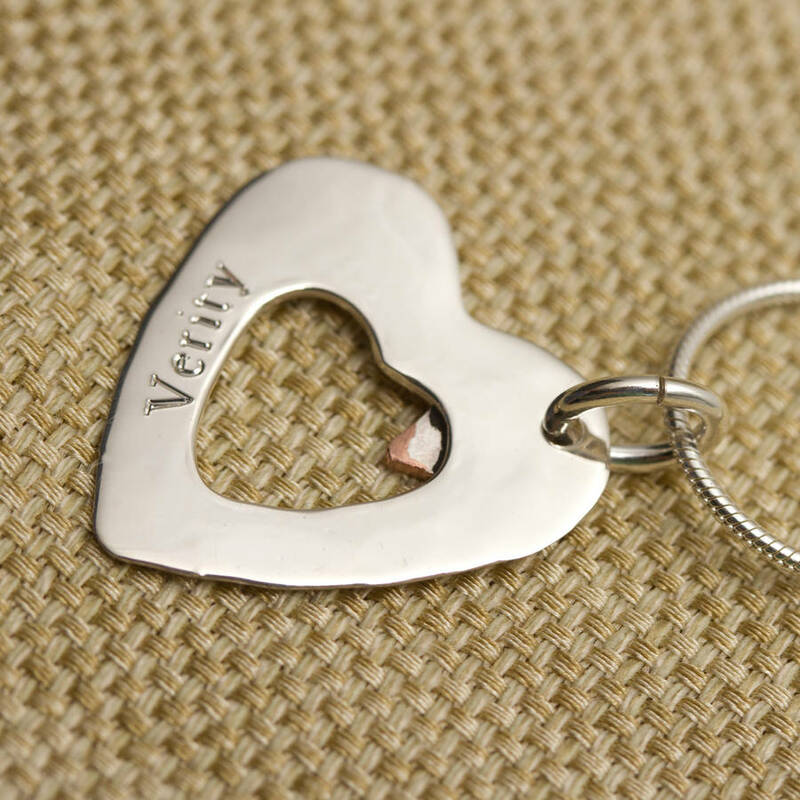 It can be personalised with a name on the back. 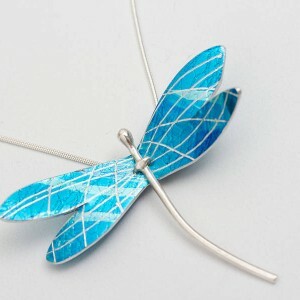 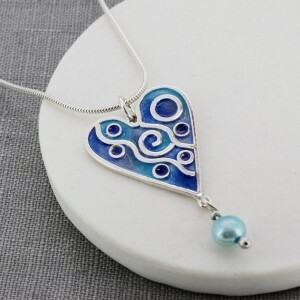 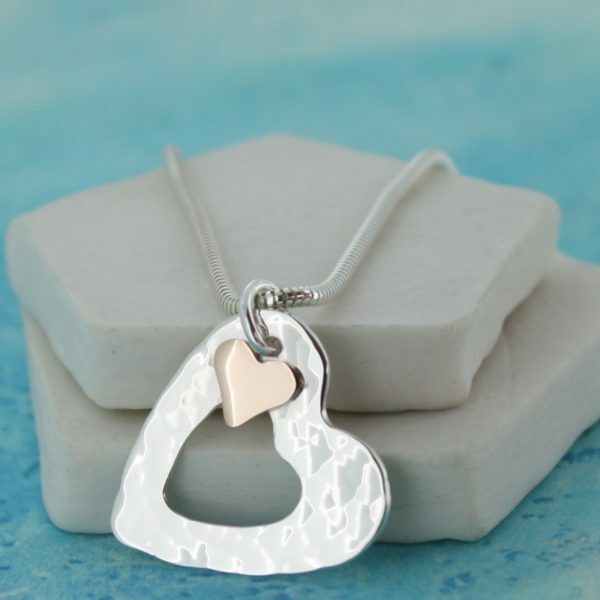 This lovely pendant has a matching ring and pendant so is great for those who like a set. It’s handmade in my studio in Cornwall. 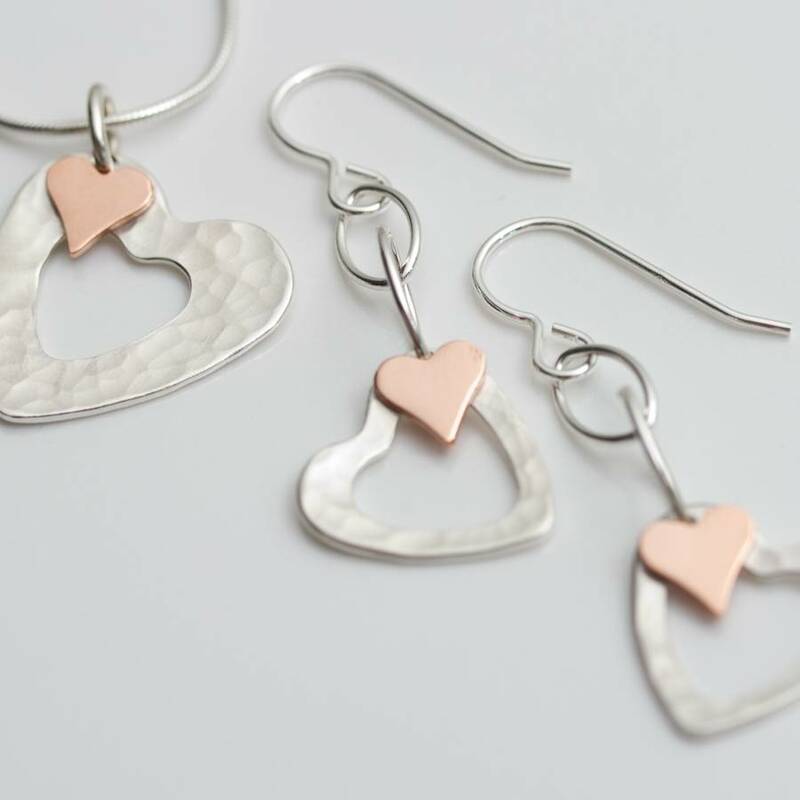 This pendant is handmade in Cornwall from sterling silver with a copper heart. 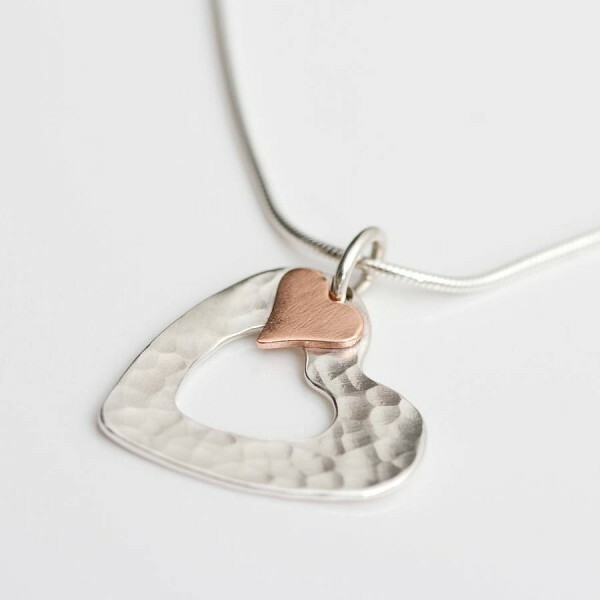 The pendant comes as standard with a snake chain.